Radio Spirits » Blog Archive » Happy Birthday, Chester Lauck! On April 26, 1936, the small Arkansas town of Waters officially changed its name to Pine Ridge. It wasn’t because they were on the lam from the law or ducking creditors, however—the inspiration came from the popular radio comedy serial Lum and Abner. The fictional hamlet on that show was based on Waters…so the town decided to make it official in tribute. 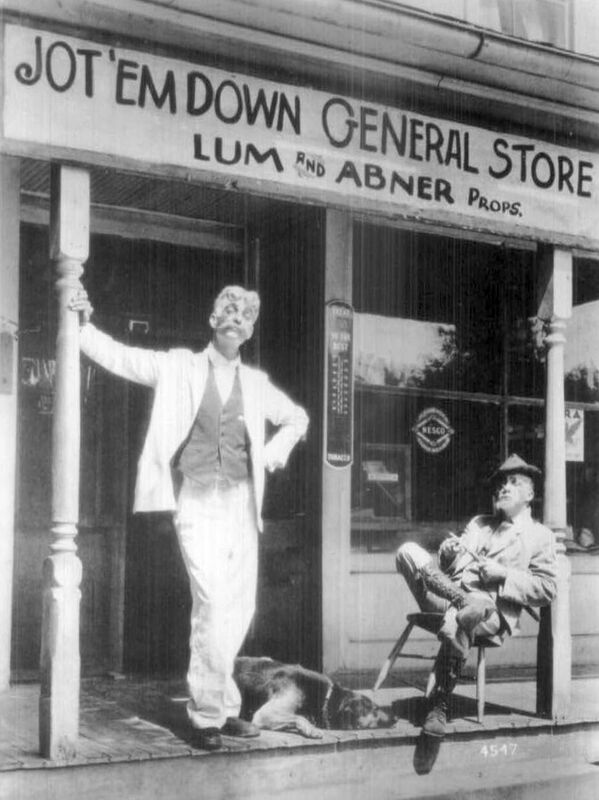 Lum and Abner was the creation of two men who performed on stage for fun after their regular nine-to-five jobs. The show that they developed premiered on Hot Springs’ KTHS in 1931 and was soon picked up by the National Broadcasting Company for the benefit of coast-to-coast audiences. 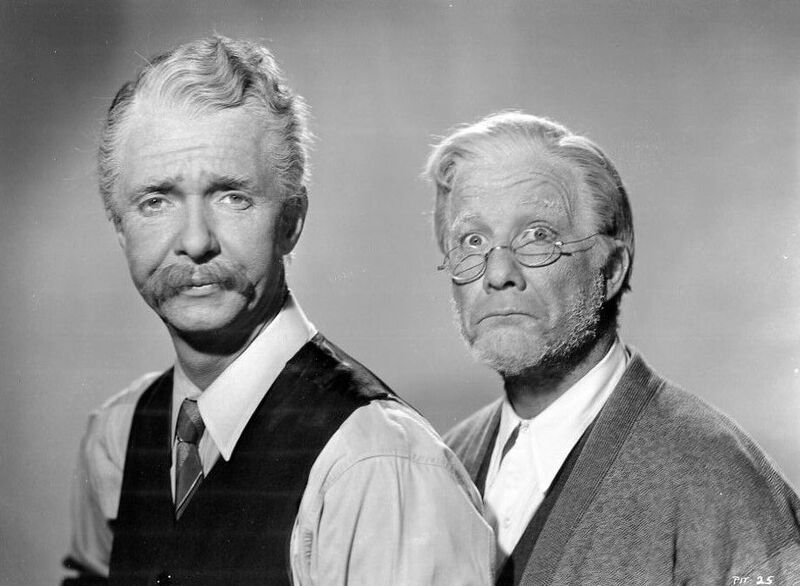 The long-running program would bring fame and fortune to Findley Norris “Tuffy” Goff and Chester Harris Lauck—the latter born on this date in Alleene, Arkansas in 1902. 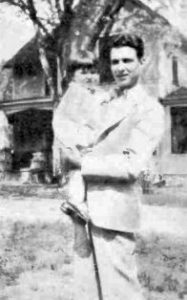 Chet Lauck was born the son of William J. and Cora Lauck, who moved their family to Mena, Arkansas in 1911. It was there that Lauck met his future partner, Norris Goff. Both the Lauck and Goff families were quite prominent in Mena, and the duo cemented that lifelong tie by cutting up in school and later performing at various venues in the area (they did a blackface act). Chet’s performing ambitions no doubt proved to be a disappointment to his father, who wanted him to take on the family business (banking and lumber). Instead, Lauck enrolled in the University of Arkansas after graduating from Mena High School in 1920. He majored in business and art, and was the editor of the university’s humor magazine, White Mule. When partner Norris Goff wasn’t toiling away in his father’s business (a wholesale general merchandise warehouse), he joined Chester Lauck (the manager of a finance company) in entertaining friends and audiences with comedy routines. The duo had planned to perform at a benefit at KTHS in Hot Springs in 1931…but to their dismay, all of the other comedy acts were going to do blackface (because of the popularity of radio’s Amos ‘n’ Andy). To stand out from the rest of the imitators, Lauck and Goff decided to switch to one of their “fellers-from-the-hills” routines, and the audience reception was remarkable. 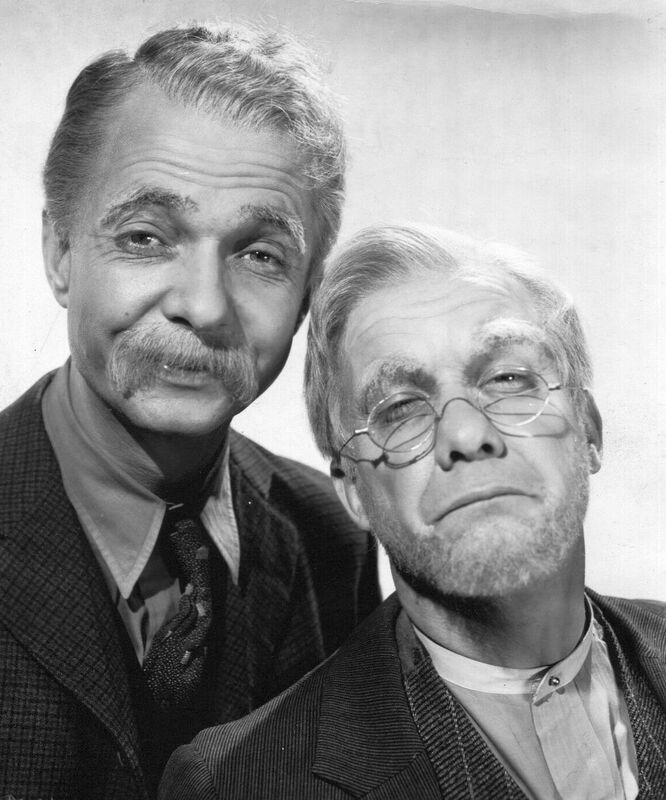 Chet and Norris were hired by KTHS to continue in that capacity and, two months later, a successful audition for sponsor Quaker Oats would earn them a berth on NBC’s schedule. In its twenty-three-year run on radio, Lum and Abner would be heard on all four major networks (NBC, CBS, Mutual, and NBC Blue [which later became ABC]). Lum and Abner were, respectively, Columbus Edwards (pronounced “Eddards”) and Abner Peabody. The two lovable old codgers owned and operated the “Jot ‘Em Down Store” in the peaceful little Arkansas burg of Pine Ridge. Their world was a small but lively (and funny) one, filtered through the sensibilities of what their creators affectionately called “hill people.” (They didn’t care for the term “hillbilly.”) Chet Lauck played Lum, the somewhat more sensible half of the duo, but he was not strictly in the role of “straight man”—he got just as many laughs as his partner-in-crime. He also performed as dimwitted Cedric Weehunt, cantankerous Milford “Grandpappy” Spears, and tough guy Snake Hogan. Lum and Abner shared some similarities with Amos ‘n’ Andy; both series concentrated on dialect humor, with a slight sprinkling of soap opera elements. However, Lum and Abner eschewed Amos ‘n’ Andy’s true-to-life depiction of the Depression in favor of an absurdist escapism. 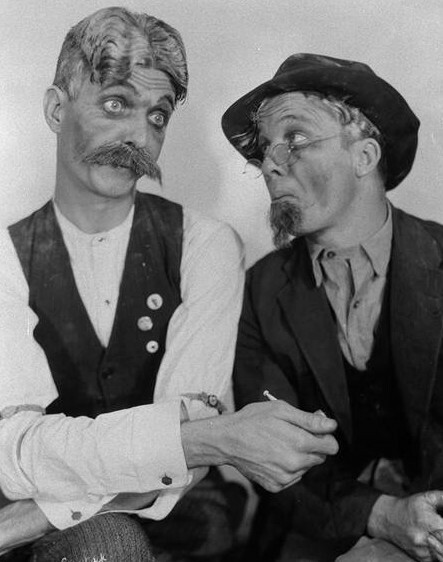 In addition to their own program, Chet Lauck and Norris Goff would frequently appear as “Lum and Abner” on various radio charity broadcasts and on shows like Command Performance, The Kraft Music Hall, Mail Call, The Radio Hall of Fame, and Sealtest Variety Theatre. They received a warm welcome whenever they appeared as guests on shows headlined by Bing Crosby, Bob Hope, Dinah Shore, and Paul Whiteman. March 12, 1945 found them as the main attraction on The Lady Esther Screen Guild Theatre, where that evening’s broadcast was a reworking of their 1943 feature film, So This is Washington. 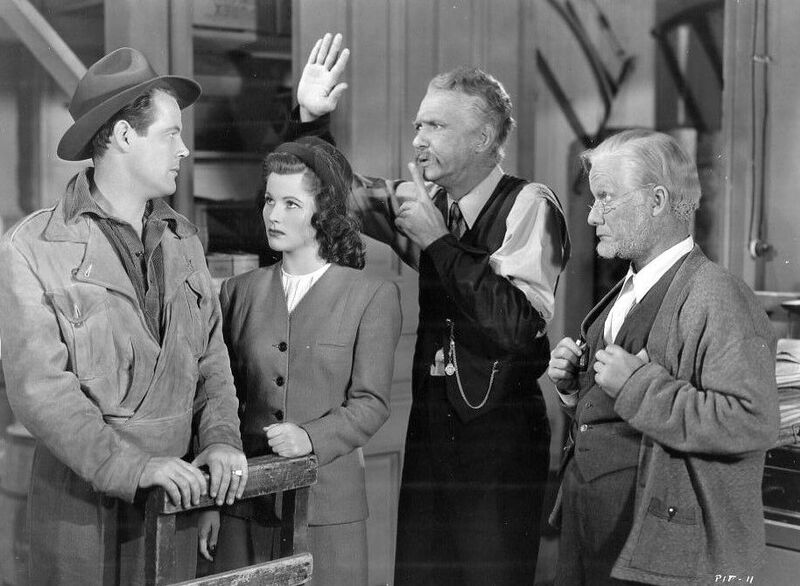 Beginning in 1940 with Dreaming Out Loud, Lum and Abner were major motion picture stars in a series of productions under independent producer Jack Votion. Their final vehicle, Partners in Time, would be released to theatres in 1946. 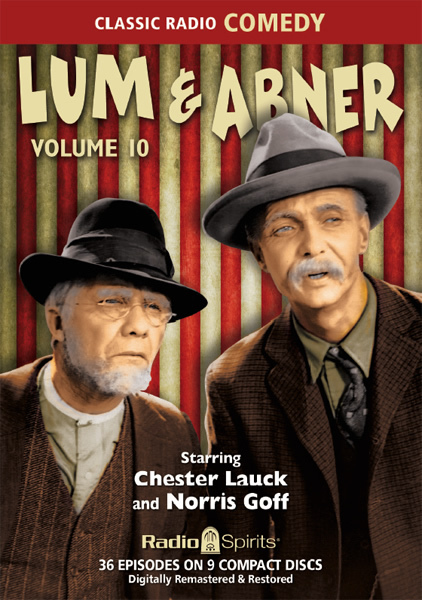 Chester Lauck and Norris Goff would appear in one more Lum and Abner feature film entitled Lum and Abner Abroad in 1956—a film that was actually three TV pilots that were stitched together after none of the episodes attracted any sponsors. Lum and Abner would complete their lengthy radio run in 1954, and Lauck and Goff decided to officially retire a year later. Chet managed to keep busy; he made appearances on To Tell the Truth (as a contestant!) and The Tonight Show with Jack Paar. In fact, for years afterward, he reprised his “Lum” role in his capacity as vice-president of public relations for Conoco Oil. In the 1970s, when Lum and Abner was rerun on radio stations (as a result of “the nostalgia boom”), Lauck recorded new introductions for those classic episodes. Chet passed away in 1980 at the age of 78. I have mentioned so many times in past essays that listening to Lum and Abner during their 70s revival was my introduction to old-time radio, and one of my greatest pleasures in life is being able to slap a cassette or CD into the player to hear “what’s going on down in Pine Ridge.” Radio Spirits is only too eager to help scratch my Lum and Abner itch, with nine volumes available spotlighting broadcasts that originally aired between 1942-44. You’ll also find a half-hour broadcast (the comedic duo appeared on CBS in this format from 1948 to 1950) in our all-star mirthmakers compendium Great Radio Comedy. Happy birthday, Chet! « Happy Birthday, Bennett Kilpack!